Yay! I love it! It looks fantastic in white! Isn't that cardstock delish?! Thanks for the shout out! A.Maze.Ing! Amy's card is beautiful and what a great source of inspiration! I love the vellum of yours, though, and the soft effect it gives your colored sprig. 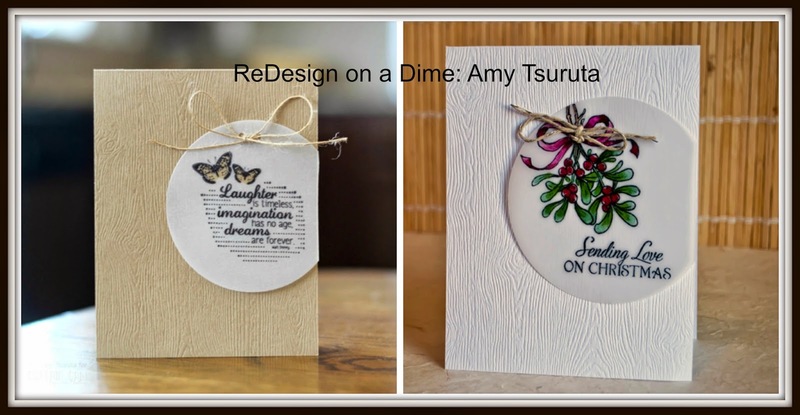 Your redesign on a dime series is just fabulous, Joan, and I love seeing your thrifty recreations. Thanks for thinking of it! Joan, your redesign is gorgeous! What a beautiful Christmas card. 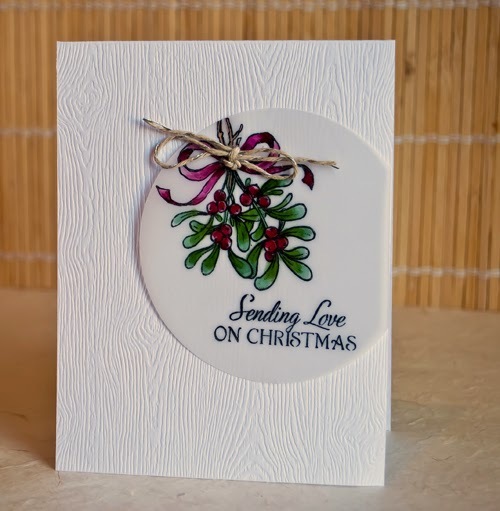 A lovely card with great coloring and I like the use of vellum. It's nice quality and a gift always comes with orders from Ellen. I just love this series of yours. You did a fabulous job on the redesign. How beautiful on the vellum, and I would LOVE to have that cardstock. The subtle pattern is lovely. I'll check out the link from one of your previous commenters. Been looking for an embossing folder with a very subtle pattern, though. Linen, maybe. Then I could use it over and over on any color.